We still have a week left before the kids head back to school and we are trying to squeeze every last moment out of summer that we can. A few more days at the pool, a hike and some ice cold treats! Hamilton Beach sent me a WaveAction blender and we have been making a lot of slushies and smoothies around here to enjoy on the nice hot days. The other day Adison asked if we could make slushies with orange juice. Of course we had to give it a try and we found it to be very delicious! I hope you enjoy this quick and delicious recipe and be sure to enter the giveaway following the recipe!! This makes one large serving or several small servings. See such a simple recipe! 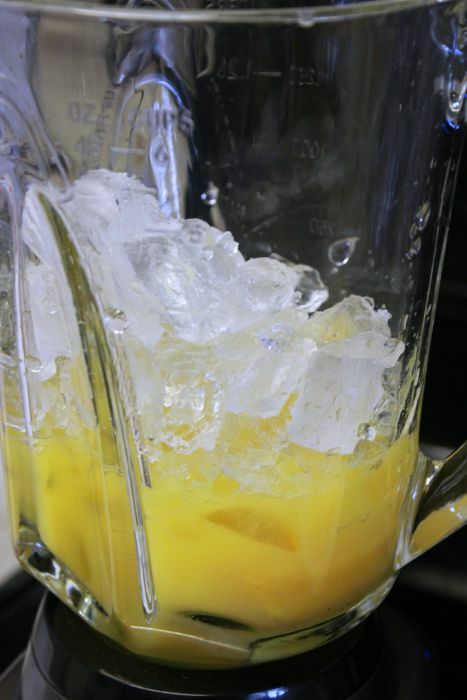 In your blender add the orange juice, orange juice concentrate and ice cubes. There are many features on this blender that I love. One is the stir stick – I didn’t need to use it for this recipe, but if you have a very thick recipe you can insert the stir stick and help mix things around. The second thing I love is the buttons are very specific on which buttons will do what. 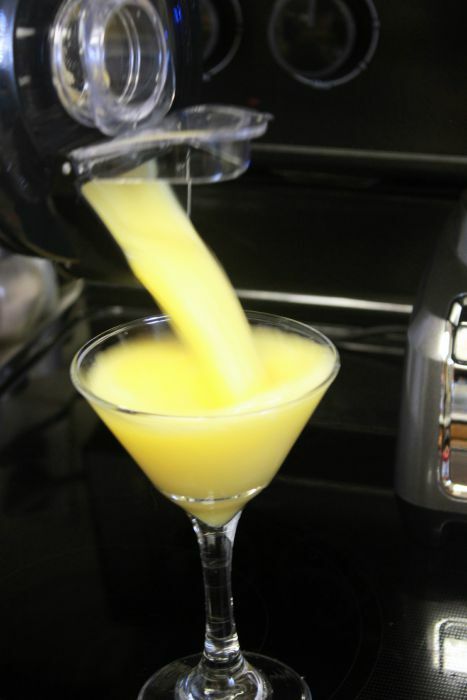 Push the Icy Drink button and let it blend for about 30 seconds to 1 minute depending on how you like your ice. Now you have a delicious slushi! This brings me to the third thing I love about the blender. One of my favorite features of the WaveAction Blender is the pour spout. With this I can pour my slushies without a mess. Also when I make big batches of sauces or salsa I can easily pour it into jars with no mess. Sorry the picture is blurry it was kind of hard to pour and take a picture at the same time – I need another set of hands! 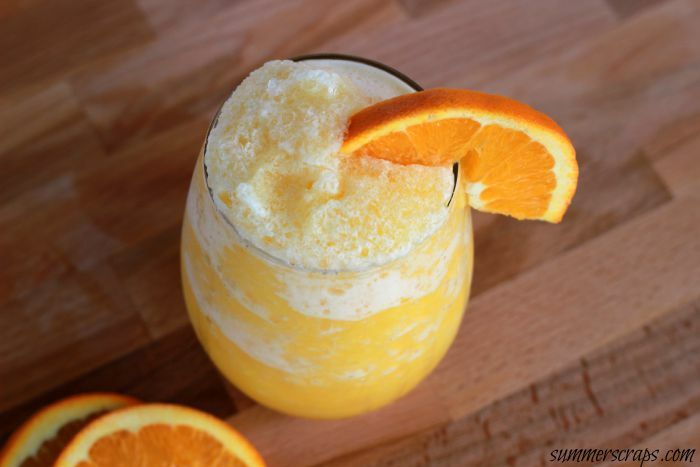 You can make a slushi like this with any of your favorite juices or drinks! I am so excited to giveaway a WaveAction Blender to one of you! 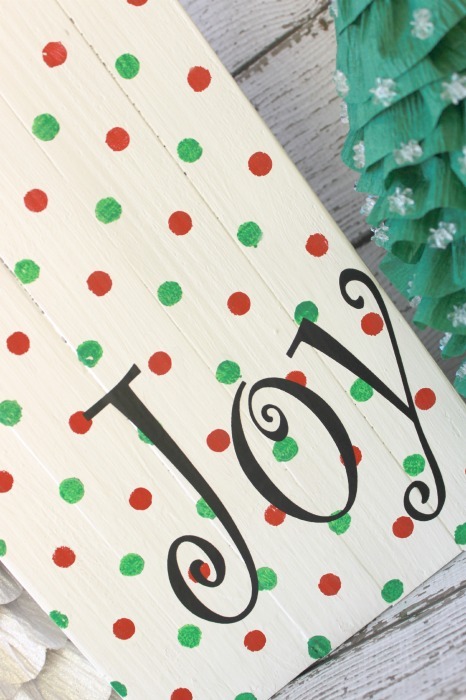 This giveaway begins right now and ends on 8/21/15. Mango or berry smoothies are my favorite. I love the markings on the blender. They are really easy to read! I am always fumbling with my blender. I think it is time for an upgrade!. Anything strawberry is my go-to smoothie flavor! I like a strawberry, avocado, and hemp protein smoothie. My favorite smoothie is my Fast Easy All fruit smoothie that I make! It has strawberries, cut up banana, ice, orange juice, and a mango! I like strawberry smoothies best. 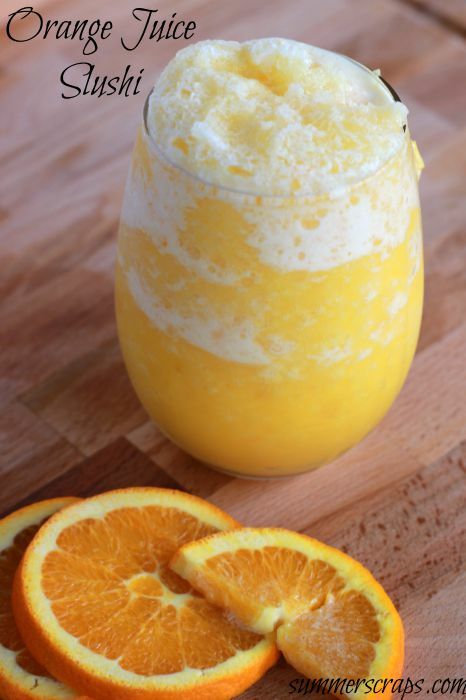 This reminds me of a Orange Julius – sounds yummy will give it a whirl this week. Thanks for the recipe. Thanks so much for joining us at Share The Wealth Sunday! I LOVE smoothies and slushies. I never thought to make one out of OJ. I would love to be drinking this for breakfast this morning, but I don’t have any OJ. 🙁 I am going to have to get some this weekend and make this. Yum! Thank you for sharing. 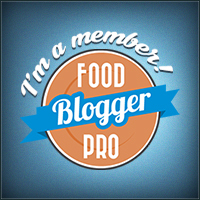 I am glad I came across this on #FoodieFriDIY! Pinned! 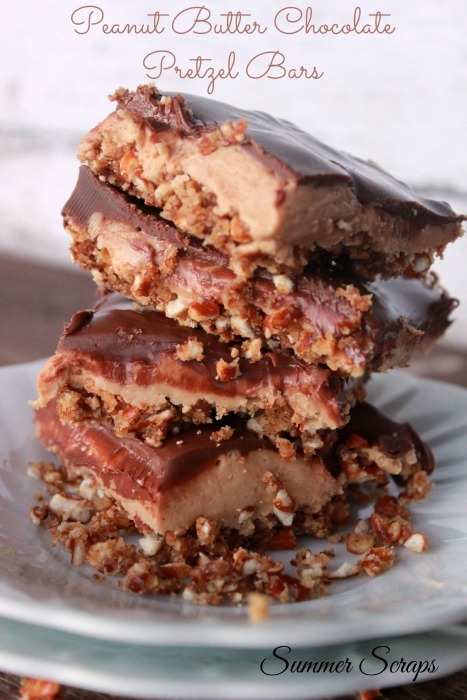 While I hate that I missed this giveaway, this recipe is quite simple and looks well worth making. I love the Orange Julius drinks I use to get from the mall, and this looks like a close second to it. Thanks for sharing this idea with us on the #SmallVictoriesSundayLinkUp and I hope to see you next week again.